Lucien Engelen is the founding director of the REshape Center for innovation, and advisory to the executive board of Radboud University Medical Center in Nijmegen the Netherlands. 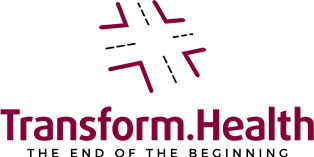 Several mindset-shifting projects have been initiated at his center, like most recently the ‘REach-platform’ for the patient(unions) to ignite their own research by globally crowdsource and crowdfund data for research, flipping the coin for patients from being the subject or contributor to designer and owner of the research(data). Through human-centered design (service design) they get to the core of opportunities for change in healthcare. As the Global Strategist Digital health for Deloitte’s Center for the Edge he pushes the needle on a global scale for the needed change of the operational model and the H-UX as he coined it (Healthcare User-Experience). He is also a faculty member at Singularity University’s Exponential Medicine in Silicon Valley and in the Netherlands. As a public speaker in his keynotes, he touches on how the intersection of technology and (patient) empowerment is creating momentum for delocalization of healthcare, and the shift of (more) data in the hands of patients, through technology corporates, will change the way we do clinic trails. As the initiator of the #patientsincluded charter to encourage the involvement of patients, family, and informal care in conferences, journals, government and research he strives for inclusiveness and actual co-creation from the get-go. He will always provoke, inspire and challenge the audience. As a pre-read one could read some of his blogs on his Linkedin Influencer page with over 750.000 followers. Succeeding his former books in Spring 2018 his new book Augmented health(care): “the end of the beginning” was launched in Barcelone, Spain during the HIMSS conference where he also keynoted and acted as the Master of Ceremony for the other keynotes. Likes : Health(care), photography, reading, golf. Languages : Dutch (Native), English (Full Professional Proficiency), German.